We have a Double Whammy for you this month. 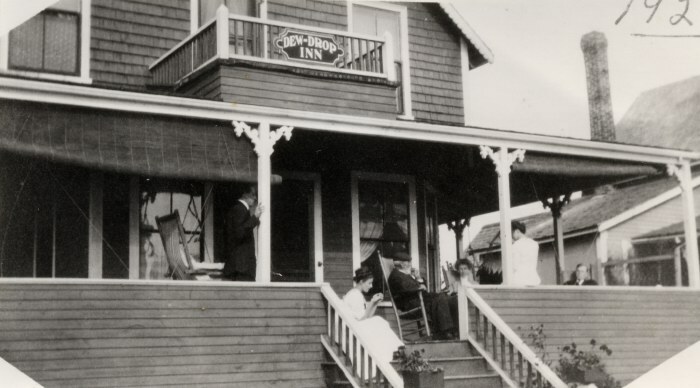 The top two photos of the Dew-Drop Inn when taken around 1926.... check out the appropriate beach apparel... or maybe they were all dressed up for an HBA dinner! 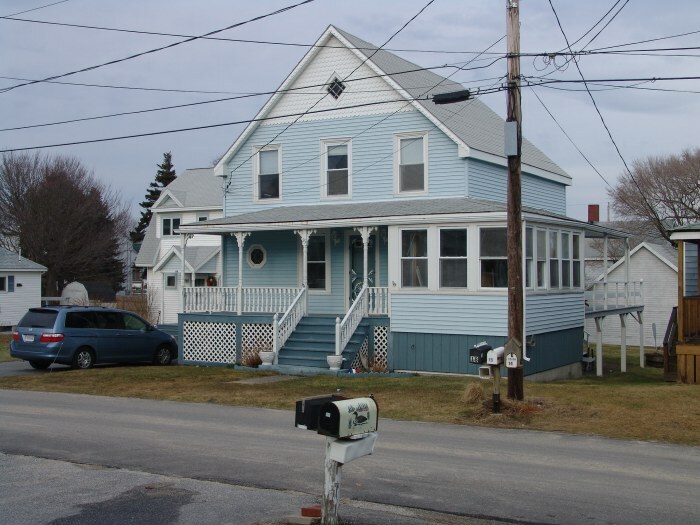 The Dew-Drop Inn was built in 1901 by Dr. Barrett and was ultimately handed over to the Barrett's daughter, a Mrs St. Clair. 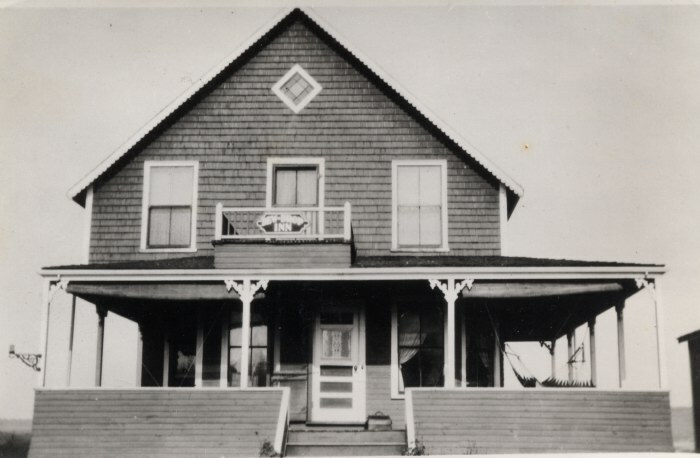 Growing up on Ashton Street, I knew the St. Clair's but I have no memory of the small store that Mrs St. Clair operated on the same lot just to the north of the main house. I checked with my older brother earlier who as a kid I considered older than dirt and he had no memory either. 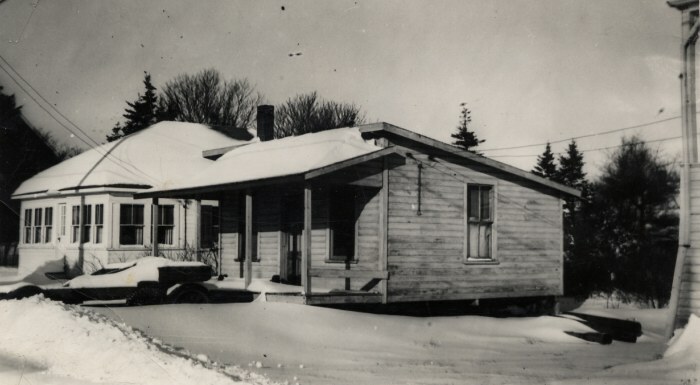 The shop however was later moved over to Vesper Street where it now sits as a bunkhouse on the McLaughlin property. 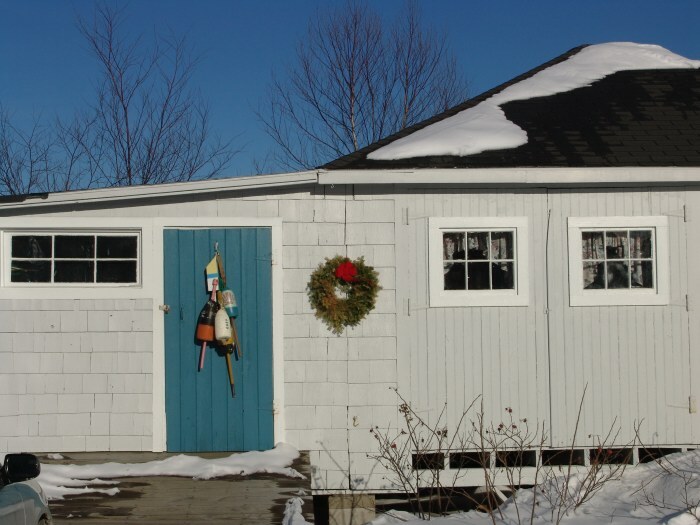 The Dew-Drop was ultimately bought in 1977 by Charlie and Janet Callahan who decided perhaps that they had had enough people dropping in so they renamed the cottage "Blue Skies".